India-based provider search and appointment-booking tech company Practo lays off 150 – a 10-percent workforce reduction the company attributes to “a combination of natural redundancies that emerge as we integrate our five acquisitions and evolve our businesses, as well as the performance required for the next phase of Practo’s growth.” The company operates in four other countries, and has raised $180 million since launching nine years ago. It acquired Fitho, Genii Technologies, Qikwell Technologies, Instahealth, and Enlightiks – all India-based businesses – between April 2015 and December 2016. From Harvest Gal: “Re: Word on the street is that NewCrop has been losing EHR customers – and end-user doctors – over the past couple months. We’ve also heard that those EHR vendors are moving to e-prescribing company DrFirst. Is greater industry consolidation on the horizon?” Unverified. I wouldn’t be surprised given the general state of health IT affairs. NewCrop’s e-prescribing tool has been on the market since 2003, and has been flying fairly under the radar (at least from a media perspective) for the last several years. I last mentioned them in September 2016, when the company added specialty medication prescribing software from AssistRx. From Lab Tester: “Re: Theranos vs. 23andMe. Seems like Elizabeth Holmes could learn a thing or two from Anne Wojcicki. Both companies faced governmental scrutiny; one continues to go down in flames, while the other seems to be trying to play by the rules.” The Theranos saga does indeed continue: Media reports suggest that founder Elizabeth Holmes owes her own company $25 million - a fact made semi-public after reports surfaced that some investors were considering suing the company. 23andMe, meanwhile, has seemed very intentional about recovering from the reprimand it received from the FDA in 2013. It seems to have eschewed the media-blitz machine Holmes favored to instead hunker down and legitimize its business model. 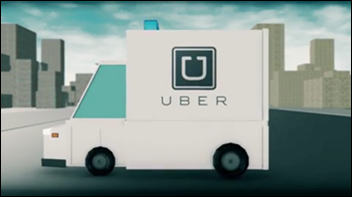 From Ambulance Chaser: “Re: Ambulance rides via Uber. It boggles my mind that people are opting for rides to the ER from ride-sharing services like Uber and Lyft. Have any of your readers noticed an increase at their facilities in drop-offs from these services?” AC is no doubt referring to this article focusing on the use of ride-sharing companies to get emergency patients to the hospital. While I doubt ER staff have time to pay attention to patient transport, I’ll invite readers to weigh in. It’s just another nail in healthcare’s already deteriorating coffin, if you ask me. The industry has yet to (and probably never will) become the nimble, Amazon-like company that caters to consumer whims – much less one based on a gig-economy model. The regulatory tape is wrapped too tightly at this point, and administration in-fighting would suggest it’s not loosening up anytime soon. New poll to your right or here: How likely would you be to use a company like 23andMe to better understand your hereditary health risks? Feel free to explain your level of likeliness by leaving a comment. Massachusetts General Hospital, Massachusetts Eye and Ear, and Newton-Wellesley Hospital all go live on Epic over the weekend as part of Partners Healthcare’s $1.2 billion Epic implementation. A CMS inspection report confirms that Theranos’ proprietary blood testing analyzer, Edison, failed internal quality control tests 29 percent of the time, while its California lab was also cited for doing tests with unqualified personnel and storing samples at the wrong temperatures. e-MDs completes its acquisition of McKesson ambulatory products Practice Choice, Medisoft, Medisoft Clinical, Lytec, Lytec MD, and Practice Partner. Pfizer backs out of its plan to acquire Allegran and move its headquarters to Ireland for tax reasons after the Treasury Department puts new rules in places to make tax inversions less lucrative. The Gingrich Group LLC, doing business as the Center for Health Transformation, files for Chapter 7 bankruptcy in a Georgia court. The Coast Guard prepares to go live on its Epic-based EHR. A new KLAS report says that Cerner, Meditech, and Siemens are the only HIT vendors that provide their solutions to all world regions. A National eHealth Collaborative paper says that HIEs have great potential to improve care and reduce cost, but despite ONC emphasis and incentives, not a lot of value has been realized so far. Getting my leadership to explain why a bunch of gray beards in suits with no health IT market experience were getting paid trips to HIMSS, while our actual industry experts (like me) weren’t. The stillness in the office as the bosses are all gone! (From Dr. Jayne) My favorite moment was at HIStalkapalooza in New Orleans at the Rock’n’Bowl. I managed to have pictures taken with both Judy Faulkner and Jonathan Bush. I keep them in a hinged frame on my desk so they constantly have to look at each other. It makes me smile when I am writing for HIStalk. This week’s question: What passion would you pursue given adequate free time and money? The FDA authorizes 23andMe to market direct-to-consumer genetic health risk tests and reports. VA CIO Rob Thomas confirms the agency is on track to make a decision by July 1 on whether to replace Vista with a commercial EHR vendor. Cleveland Clinic launches an investment business, Cleveland Clinic Ventures, that will work with its innovation department to turn new medical breakthroughs into funded spin-off companies. Former CMO of Siemens Healthcare, Donald Rucker, MD joins ONC as National Coordinator. A media company that Patrick Soon-Shiong, MD rescued from a hostile takeover attempt with a $70 million investment claims that its CEO was forced to personally invest $10 million in NantHealth’s initial round in exchange for the help. Meditology Services opens offices in Denver, Nashville, and San Diego. The company, which seems to have repositioned itself as a privacy and security consulting firm since I first mentioned it in 2013, already has offices in Atlanta and Philadelphia. Northern Arizona Healthcare’s Verde Valley Medical Clinic – Camp Verde implements Versus Advantages Clinic patient flow technology from Versus Technology Solutions. Several facilities within the Dubai Health Authority (UAE) go live on Epic. Johnson Memorial Hospital (IN) will go live with Optimum HRIS in May. Madison Memorial Hospital’s (ID) HR department will go live with Paychex MyStaffingPro this year. Womankind Obstetrics and Gynecology (OH) will switch from Athenahealth to Epic ambulatory next month. Here’s Part 3 of the top 10 HIS vendors report from Vince and Elise. The Chicago CIO Leadership Association honors TransUnion CIO & CTO Mohit Kapoor with its 2017 CIO of the Year Orbie Award. ZirMed updates its Coverage Detection patient payment product. CRM Magazine recognizes West Corp. with a 2017 CRM Service Leader Award for Contact Center Infrastructure. ZeOmega publishes a new case study demonstrating how Community Health Network/Indiana ProHealth implemented its Jiva case management solution. Clinical Computer Systems, Inc., developer of the Obix Perinatal Data System, announces that Jake Chacko, Philip Strang, and Chris Zoellner have completed field service manager certification training. Thank you for posting the info about Larry Krassner’s passing, as I didn’t know. Larry was a fierce competitor, a piece of work (and I mean that it in a good way), and definitely dedicated to his customers. Due to Larry’s perseverance many healthcare organization’s took their first, and most critical, steps towards automating financial and clinical business processes. Larry will be missed. Thank you Dr. Jayne. Your comment made my Monday and now I can’t NOT think about what would happen if the 2 of them had to spend a prolonged period of time together. 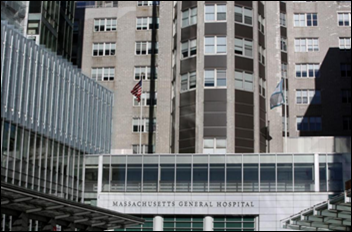 Fascinating that MGH is just making the Epic move in 2017. it goes a long way toward explaining the remarkable paucity of incisive or visionary treatment of medical IT in the pages of the august and prestigious New England Journal of Medicine. Looking forward to how things change.